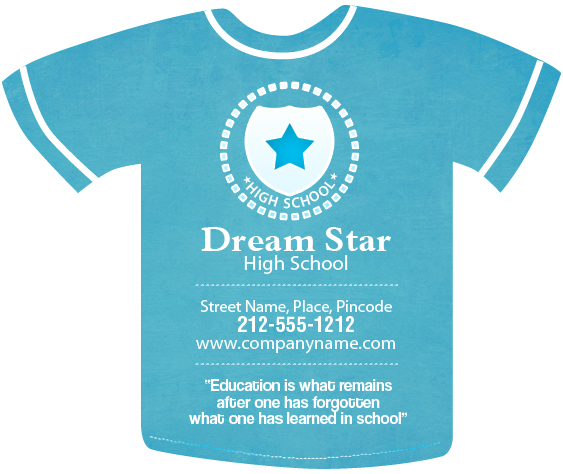 A customized 3.75 x 3.16 T shirt shaped full color magnet can be preferred for brand building by sports academies, elementary schools , grammar schools, day care centers, and all types of study institutions. A custom 3.75 x 3.16 T shirt shaped full color magnet can be handed to teachers or students during important school days, in the new academic year, as an encouragement gift or as a fundraiser. A personalized 3.75 x 3.16 T shirt shaped magnet will be retained in most homes as a matter of pride and it will attract anyone with its mesmerizing shape. This shape will slowly work on minds of youngsters and instill a sense of responsibility within them. Product Size : 3.75 in. x 3.16 in.